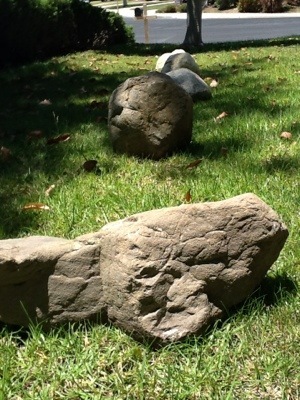 Assemble the seven rocks from around the yard. A great warm up and workout was just moving these things into place. From 20 feet to 100 foot transport, this was some work in and of itself. I had no real plan of attack, just went with the flow. I knew I wanted to balance on them and pick them up at one point but that was it. The rest was just whatever I felt like doing in the moment. A cool way to exercise. Balance walking. Jumping from rock to rock. Squat on the rocks. Squat with the rocks. Lunges. Split squat. Single leg squat on rock. Pistol with rock. Challenge 4: Clean up. A nice way to wrap up and cool down. So much fun and such a good workout. Plus it was out in the sun, barefoot and skin to rock contact. Thanks for reading, hope your day rocks! Great stuff like always K2! Looks like you dont even need a gym anymore. We need to set up some “play dates” at the park soon. Certainly don’t need a gym in the summer time! You let me know park and time and I’m there!